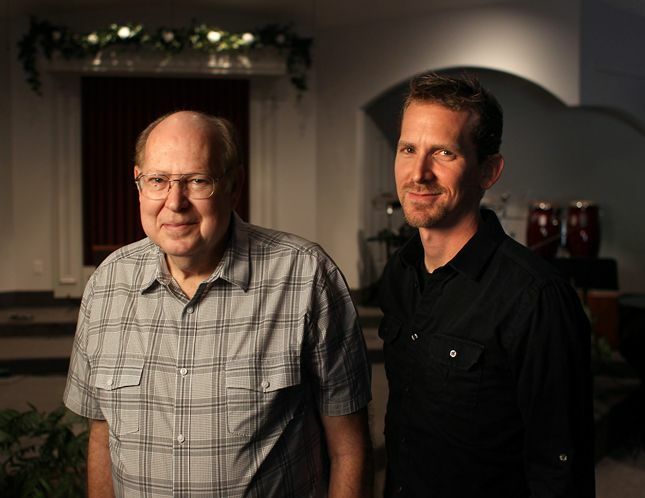 Pastor Jim Poyner, left, will pass the reins of the church he planted to son, Paul Poyner. Paul Poyner has been named to succeed his dad, Jim Poyner, as senior pastor of the Gulfview Grace Brethren Church in Port Richey, Fla. (Jim was the founding pastor at the church 32 years ago.) Paul has served the congregation as pastor to students for the past 16 years. Dustin Zerwas, who grew up in the youth group at the church, has been named youth pastor. On December 7, the church will be honoring Jim and his wife, Charlotte. The celebration begins at 5:30 p.m. at the church, which is located at 6639 Hammock Road, Port Richey, Fl. 34668. Click here to read more about Pastor Jim Poyner’s retirement. Roger L. Stichter (in photo at right), professor of accounting at Grace College and a member of the Indiana CPA Society (INCPAS) since 1984, received the Outstanding Educator Award from INCPAS during an awards program on November 15. This award recognizes an accounting educator who has made significant contributions to accounting education and to the CPA profession. The Center for Women’s Leadership Studies announces the first WLS certificate recipient. Cindy McDonald, Milford, Ind., has completed six Continuing Education Units through the classes offered jointly by Women of Grace USA and Grace Theological Seminary. Click here for more information on the certificate in Women’s Leadership Studies.